When my parents came to visit me in Colorado and wanted us all to enjoy an outdoor activity together, I decided to take them to hike a 14er. The state boasts 53 of these rugged peaks, all rising higher than 14,000 feet in elevation. “Bagging a 14er,” as it’s called to summit one of these peaks, is a quintessential Colorado activity. 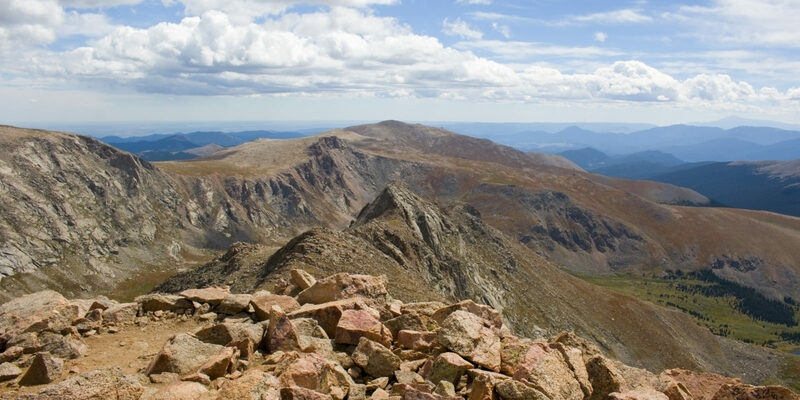 These 14ers range in degree of difficulty, from easy (with the main challenge being altitude) to very technical (which requires more advanced mountaineering skills). Some of the peaks are very remote, while others are accessible within a couple of hours of major cities. 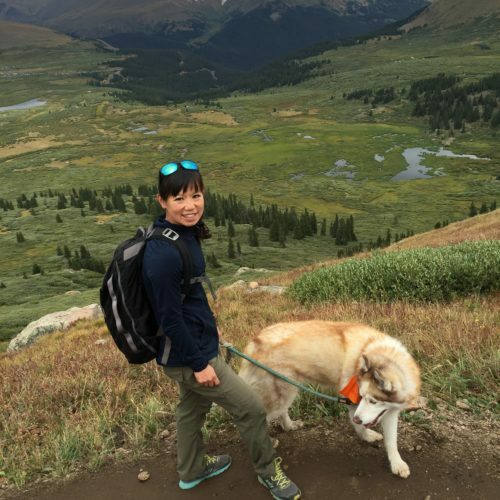 For our climb, I chose Mount Bierstadt — a 14,060-foot peak located outside of Georgetown that’s known for its scenic hike, gentle trail and relative closeness to Denver. 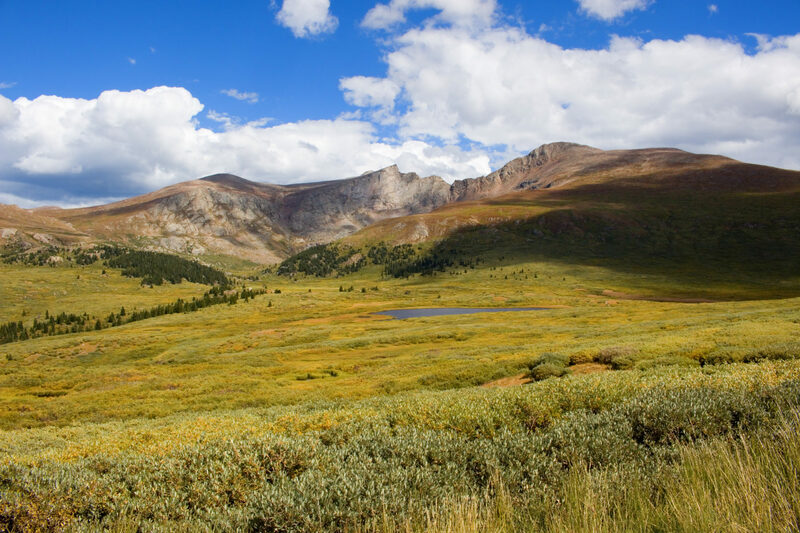 The Mount Bierstadt Trail is a well-marked, well-traveled 7.4-mile round-trip hike, but I cautioned my parents that they should be in shape and prepared for a strenuous half-day of hiking at high altitude. We arrived at the trailhead at dawn. The sun hadn’t yet peeked out, but light had started to flood the landscape. My mom is not a morning person, but I had pointed out the importance of an early start: Thunderstorms and other inclement weather can unpredictably swoop in on these mountains beginning in the early afternoon. Most of the hike was a steady but gradual ascent, winding past ponds and lakes at the base and giving way to spectacular views of the surrounding peaks and fields of colorful wildflowers. The last couple of miles became increasingly steep and rocky, so we stopped more frequently to catch our breath and take in the vistas. Once we neared the summit, the mountainside abruptly became much more jagged and the winds picked up. A huge cloud loomed in the distance. Even though it was July, small specks of snow began to pepper our jackets. Finally, we all summited, feeling awed — and frankly a bit cowed — by the height, the swirling winds and the overall ruggedness of our surroundings. “This place makes you feel very small,” my mom said. As we turned to head down before the gathering storm erupted, my dad began to feel weak and unsteady. We recognized the early signs of altitude sickness and proceeded with the best remedy: getting to a lower elevation. Fortunately, he felt much better once we headed down to town, and we recovered with burgers and hot coffee at a nearby café. To avoid altitude sickness, don’t try arduous activities the first couple of days after you arrive in a mountainous destination. Early symptoms can include headaches or dizziness; when on the trail, always take these signs seriously and promptly descend to lower altitude. If a half-day hike sounds too taxing or you’re strapped for time, visit one of the 14ers that has a road leading all the way to the top. 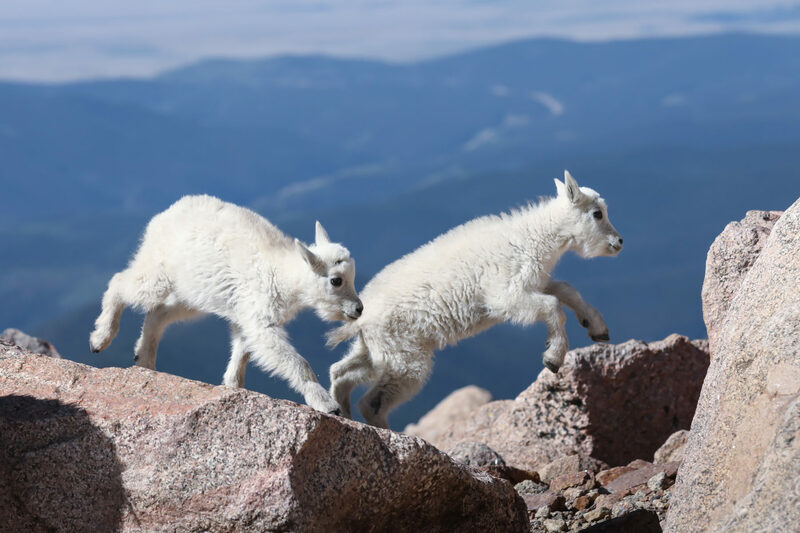 Mount Evans is located outside a small, historic town called Idaho Springs, and you can pull over on the way up to take short hikes. I also like to stop and watch the mountain goats that inhabit the summit area. Then there’s Pikes Peak in Colorado Springs, which is an easy drive from Denver. Families might enjoy ascending via the Pikes Peak Cog Railway, which starts in Manitou Springs. Wherever you hike, don’t forget to spend some time in Colorado’s wonderful mountain towns, enjoying some grub or checking out a local craft brewery or distillery. 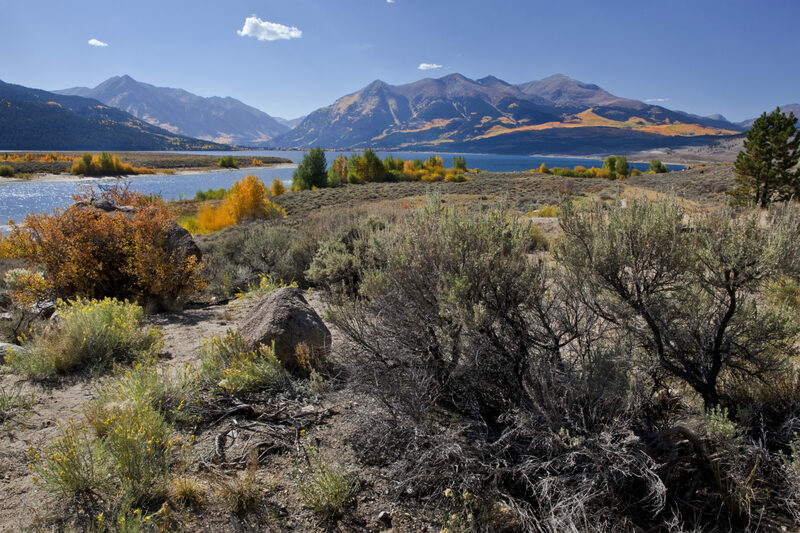 If you’re an experienced hiker, consider Mount Elbert, which tops the Sawatch Range at 14,433 feet tall. Your base will be Leadville, an Old West town that’s the highest incorporated city in the United States. Mount Elbert is the tallest of the Colorado 14ers, looming up like a giant out of the plain. That said, the trail is long but not difficult; most fit folks should be able to do it without a problem. Happy trails, and hope to see you on the summit! Whatever hike you choose, do your research. Pack plenty of water, snacks, a warm layer, sunscreen and a waterproof jacket. I also bring duct tape (for fixing anything and covering blisters), gloves, a trash bag and a headlamp.